Hang the curds in a muslin cloth in a cool place for approximately 5 hours until all the liquid (whey) has drained off. 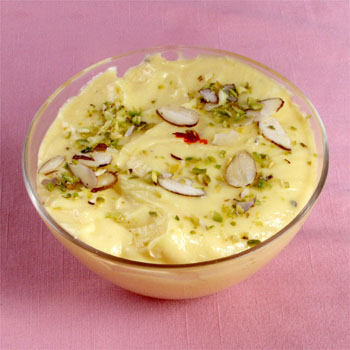 Serve shrikhand cold garnished with slivers of pistachios and almonds. What is your problem man, do you have any better thing to do? take a hike man leave everyone alone. So many people have given out the same recipe.